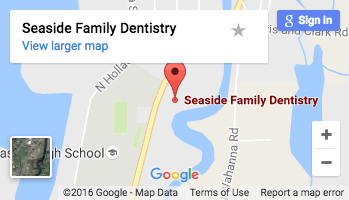 At Seaside Family Dentistry, Dr. Santos understands that not every patient enjoys visiting the dentist. Recent studies conducted by the American Dental Association have found that approximately 20 percent of American adults suffer from some degree of dental anxiety that keeps them from receiving the dental care they need. When asked, many patients who suffer from dental phobias rank the dentist’s drill as one of primary reasons they avoid dental care. Well now there’s good news for patients who feel uneasy by the whine of a dental drill, as a new study suggests that a “no-drill” approach has the potential to stop tooth decay in many instances. After completing a seven-year study, researchers at the University of Sydney in Australia found that the need for fillings dropped by between 30 to 50 percent if patients used preventative care immediately following the first signs of tooth decay. This makes it unnecessary for patients to need dental fillings because they’re not required in many instances of tooth decay, stated researchers who believe the findings to their research requires a significant change to the way tooth decay is managed by the dental community. It’s not uncommon for even teeth with modest signs of tooth decay to receive a dental filling to repair the damage done to the tooth. But researchers argue that decay does not always progress and frequently develops more slowly than widely believed. It can take between four to eight years on average for decay to work its way from the outer layer of a tooth – the tough shell called enamel – to the delicate interior of a tooth where the roots and nerves lie. Researchers involved in the study believe that the four to eight year time frame presents able opportunity for treatment to reduce the effects of decay before a filling is required. The no-drill technique developed by researchers has four components: the application of a varnish to the areas of a tooth affected by decay that contains a high-concentration of fluoride; a quality daily oral hygiene routine that involves brushing and flossing; no daily snacking between meals and no beverages with added sugar; regular dental checkups. Data collected from patients of general dental practices showed that early decay could be prevented and reversed, and that the need to fill cavities with drills was greatly reduced. However, the results of this study won’t mean the end of the dental drill anytime soon. When a serious cavity develops that creates a hole in the surface of a tooth, a filling still makes the best treatment option. While Dr. Santos would love to become a no drill dentist in Seaside, whether a patient develops a cavity greatly depends on how seriously he or she takes daily oral hygiene. As researchers laid out in the study, avoiding the drill means brushing and flossing daily and scheduling regular dental appointments. Cleanings and exams provide Dr. Santos the opportunity to spot the early signs of decay before the condition requires a filling to fix. So if you’re one of the millions of Americans who don’t like the sound of drilling at the dentists, make sure you hear the sound of brushing at least twice a day.